Kaleidoscope is a peer education program that promotes intergroup communication and understanding about diversity, equity, and social justice. Kaleidoscope gives members of the UNCG community opportunities to engage in open dialogue across diverse experiences and perspectives about these topics through interactive programs and workshops. 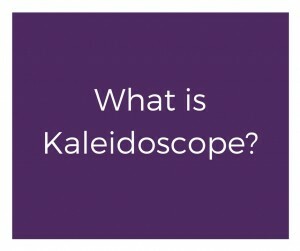 Like the instrument for which the group is named, Kaleidoscope operates on the foundation that beauty is reflected through the sum of many parts. Our Mission: The Kaleidoscope program aims to expand understanding of multiple intersecting identities and develop strategies for effective and appropriate interactions across differences to foster a more inclusive community for all communities at UNC-Greensboro. • To raise awareness about complexities of diversity, equity, and process of social justice. • To strengthen positive relationships amongst diverse identity groups within the UNC-Greensboro community. 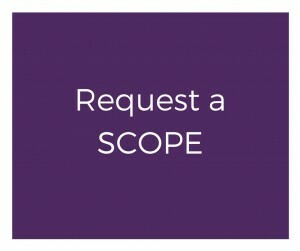 Why should I request a SCOPE? • To meet students where they are, literally — within residence hall communities, Greek enclaves, club meetings, etc. — and figuratively, in order to maximize their satisfaction with the Kaleidoscope experience. 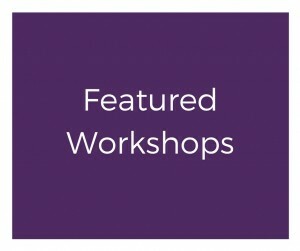 Request a Workshop for Spring 2019 here! 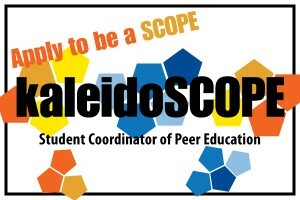 All Kaleidoscope programs are facilitated by SCOPEs — Student Coordinators of Peer Education — who are undergraduate students selected and trained to facilitate diversity and social justice education workshops and programs across campus. These dynamic students are passionate about issues of identity development, social justice and equity. They are well-equipped to engage their peers in examining topics relating to race, ethnicity, gender, class, age, ability, religion, sexual orientation, privilege, oppression and advocacy. SCOPEs are uniquely poised among their peers to raise awareness and prompt authentic intergroup communication and understanding about diversity, equity, and social justice. 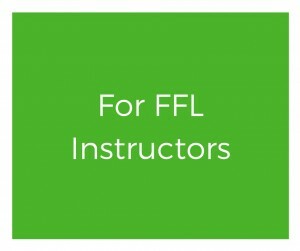 We offer an array of interactive and engaging presentations that we can bring into the classroom, staff meeting, student organization meetings, etc. All of our presentations are facilitated by our SCOPEs (Student Coordinators of Peer Education, see below for more information). They are undergraduate students who are selected and trained to facilitate social justice programs in the classroom and elsewhere across campus. These dynamic students are passionate about issues of multiculturalism, social justice, and equity; are well-equipped to educate their peers about a wide range of topics. **These programs are designated mid- to high-risk programs. Participants should have some prior exposure and discussion about the topic and/or requires established level of trust developed between participants as they will engage in deep, open discussion. This workshop introduces the concepts of diversity and social justice while exploring what social groups participants belong to and how they contribute to diversity at UNCG. This workshop will examine the importance of different social identity categories, such as gender, sexual orientation, class and race, in shaping our experience. Personal and interpersonal dimensions will be discussed and issues of intersectionality and privilege will be introduced. This program examines the offensive ways that people of different identity groups are addressed. The program questions political correctness and encourages students to find common language to discuss diversity issues at UNCG and beyond. This program is centered around microaggressions, identifying what they are and how to address them. In this program, participants will explore assumptions and stereotypes in-depth. This program explores the many different types of privilege. SCOPEs– Student Coordinators Of Peer Education– are students selected and trained to facilitate diversity and social justice education workshops and programs that promote intergroup dialogue across campus. Ideal applicants are students who are passionate about topics relating to race, ethnicity, gender, class, age, ability, religion, sexual orientation, privilege, oppression, and advocacy. See the position description HERE. 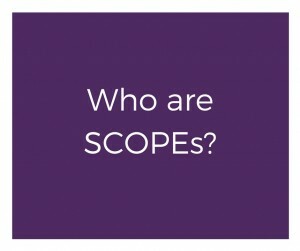 What are the benefits of being a SCOPE? • To inspire peer educators to incorporate social justice ideals into their lives after college. APPLY by or bfore Friday April 19!! Selected applicants will be asked to create a 10 minute social justice presentation and complete a 30 minute interview. Before applying, please note that SCOPEs will be required to attend weekly meetings and attend training scheduled during the first weekend of each semester. Carla (she/her/hers) joined the OIE team in January 2016. Her diverse experiences in higher education include roles in new student orientation, admissions, housing and residence life, campus programming, student development, and multicultural affairs. Ms. Fullwood is responsible for social justice education programming and student dialogue initiatives. Her professional interests include developing and facilitating anti-bias and social justice trainings, intercultural competency development, intergroup dialogues, supporting students of color, and supporting first-generation and low-income college students. Ms. Fullwood has a Bachelor of Arts degree in communication and media from the State University of New York at New Paltz and a Master of Arts degree in student affairs administration in higher education from Ball State University. She is pursuing a Ph.D. in the educational leadership and cultural foundations program at UNCG. 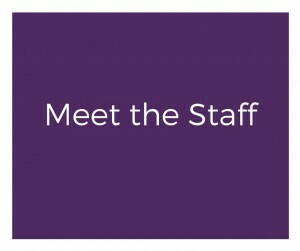 Twitch (she/her/hers) is the graduate assistant for Social Justice Education and Advocacy in the Office of Intercultural Engagement. She assists in the supervision of the Kaleidoscope program as well as social justice programming. She also serves as a Team QUEST Facilitator, Silver Leadership Challenge Coach and UNCG Guarantee Mentor. Twitch received her Bachelor’s of Arts from UNC Greensboro, majoring in Sociology and International and Global Studies while minoring in Spanish, Mathematics and Peace and Conflict Studies. She is a graduate student in UNCG’s Student Affairs Administration in Higher Education M.Ed program, and is interested in leadership development, experiential education, and low-income student experiences. All of our presentations are facilitated by our SCOPEs (Student Coordinators of Peer Education, see below for more information). They are undergraduate and graduate students who are selected and trained to facilitate social justice programs in the classroom and elsewhere across campus. These dynamic students are passionate about issues of multiculturalism, social justice, and equity; are well-equipped to educate their peers about a wide range of topics. Kaleidoscope workshops are a great way to generate discussion around topics of diversity and social justice. Our introductory presentations provide the initial step to engaging in dialogue in many settings. You may either request one of our featured workshops or contact us about developing something specifically for your student organization! Kaleidoscope workshops are a great way to generate discussion around topics of diversity and social justice. Our introductory presentations provide the initial step to engaging in dialogue in many settings. 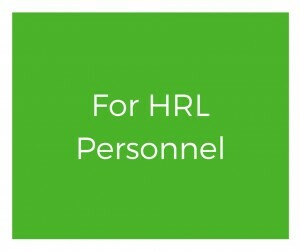 Whether you represent a residential college, living-learning community, or are an RA, ACRL, or RHD who wants to bring a dialogue about inclusivity to your hall, we can meet your needs. You may either request one of our featured workshops or contact us about developing something specifically for your group!